My son can read now, and asks almost as soon as he gets up in the morning to do his school work. When I smile at him, his beautiful blues eyes sparkle once again and his face lights up in a smile back. My daughter has a gentle, beautiful confidence about her. We no longer have conversations about how cruel the girls in her class. My son loves learning again – and my daughter gets that she is a pretty amazing human being. If these were the only two things we had gotten out of this trip – absolutely – all of the work would have been worth it. I would do it all again in a heartbeat. Has it been what we thought it would be? There is a learning curve with this whole “pick up and leave your country and travel the world with your kids” thing. And while I know there are people out there with the ability to just go wherever the wind blows them… I’m not those people. If I don’t know where my family is going to sleep on a given night – my mind is occupied with figuring that out until their heads are safely down on a pillow resting. I barely gave a second thought to “Where is my family going to sleep?” when I lived in Canada. There are 207 days remaining in this first year of our trip, and I have booked our accommodations for 205 of those nights. The fact that there are two nights that I still don’t have booked (August 19th – 21st – London, UK – needs to be near Kings Cross Station…) and one remaining flight (Belfast to Cardiff…) is something that I think about at least once a day. So the work and planning continues for me once we are on the road… it is just different things are on the “to do list” and it is a bit less titanic than it was before we left. How is our budget doing? 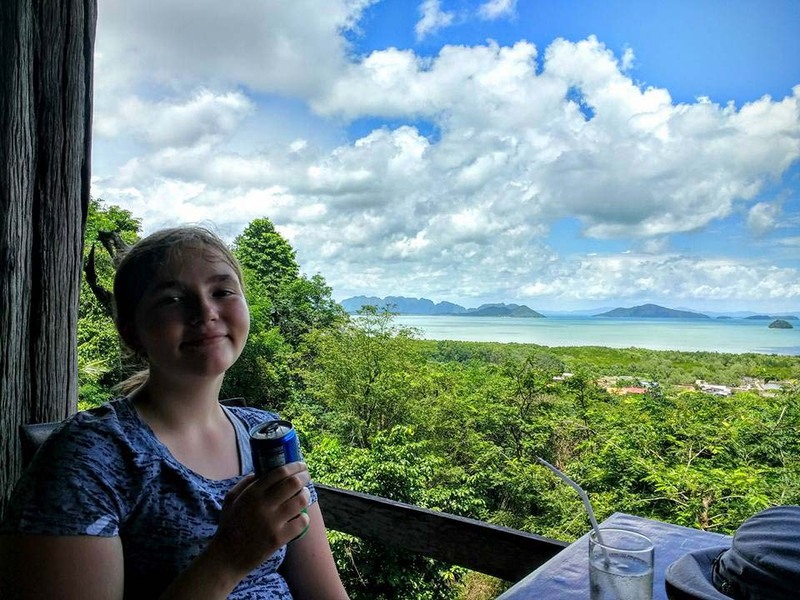 We’ve been able to afford a really high standard of living for the last four months here in Penang, for about $1,500 – $2000 less a month than it would cost us to live in Canada. We aren’t going out of our way to be ultra-frugal here either. We are subletting a 4 bedroom, 3 bathroom condo with amazing on-site recreation facilities (pools, gym, sauna etc.). We go out to eat several times a week, go to movies, play laser tag and go on lots of learning adventures. We’ve benefited greatly from the lower cost of living in Penang. Our six months here, will help us balance out some more pricey months that we have ahead of us. What have been our favourite moments? I asked everyone what their favourite moments have been on this trip so far. One thing we all agreed on, was that we loved scooter riding on Koh Lanta. We’ve also enjoyed wandering around Georgetown. You never know what you will find around the next corner. 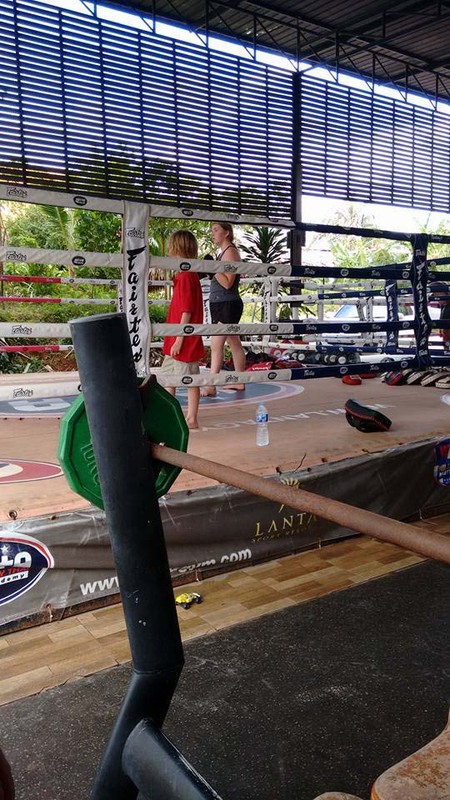 Morgan’s favorite memories so far are from Koh Lanta, and of learning Muay Thai with Mr. Kitty. I think that Artie has been getting in touch with the side of himself that enjoys “opulence” on this trip. His two favourite memories are from here in Penang – and include the visit to the mansion and eating at the “really expensive restaurant”. Marcus said it is the views that he has enjoyed – and there have been a few of them. Penang Hill, the panorama of Medan from our hotel and one of the restaurants that we visited on Koh Lanta. I also had a moment up on top of Penang Hill that I hope I never forget. 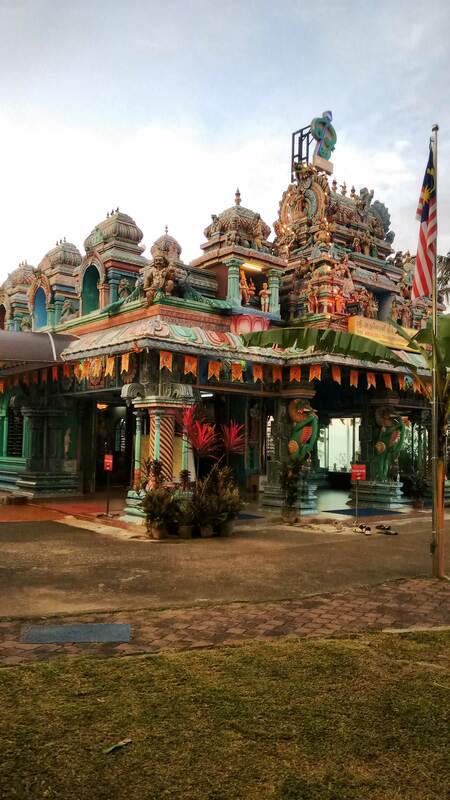 There is a playground in between a Mosque and a Hindu temple. Artie was playing on the equipment there, when a little Chinese boy (he couldn’t have been more than 4) started following Artie around – trying to copy his every move. At one point, the little boy was struggling to get up the slide, and Artie turned around, and reached his hand down to help him up. I couldn’t help but be struck by the volume of diversity in the surroundings at that moment… and how beautiful it was… and how simple it was for my son to turn around and help another. For one brief moment in time – it felt like all was well in the world. So what is still to come? We have another couple of months here in Penang, and and a couple of short trips planned between now and the end of March. Then, we have 5 months of more intense travel ahead of us. We’ll be visiting three more continents (Australia, Africa and Europe) before we head back to Canada for a bit at the end of August. We are pretty excited about the adventures that are ahead of us, and grateful that we have been able to have this adventure as a family. It’s been great so far following your family on this adventure. I can’t imagine what Africa will be like….travel safe and keep on blogging. From a small office in Fort Erie! Good to hear from you Melanie – and hope you are staying warm. Just a short stop in Africa (Egypt) this year – but we are looking forward to it 🙂 Thanks for stopping by! What was the rent of the 4bedoom condo? Could you do a breakdown of your monthly expenses? thanks. You can live in Penang for much less than this if you want to. As I said in the post, we enjoyed a much higher standard of living than we allowed ourselves in Canada while we were in Penang (and I’d do it again in a heartbeat).